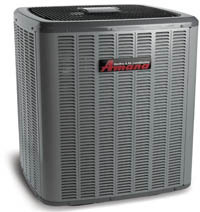 CWJ Heating and Air Conditioning employs highly trained and certified service technicians. We are proud to warranty our workmanship and materials for one year. CWJ Heating and Air Conditioning employs highly trained and certified service technicians. All of our equipment and materials we install meet National and North Carolina code requirements and are submitted to necessary permits and fees for local inspection departments as required. We are proud to warranty our workmanship and materials for one year. Equipment warranties are based on the manufacturer’s guide lines. Our staff is also equipped with the knowledge and ability to service and repair most makes and models of major brand heating systems and equipment including Lennox and Amana. This ensures the timeliest and best quality of service so your home is as comfortable as it should be in the winter time. North Carolina can get cold during the winter months, be sure your heating system is running perfectly today.